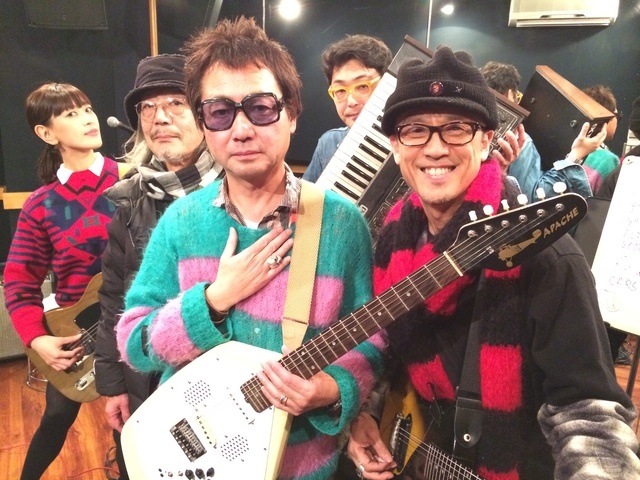 On April 13, Hikashu will perform at a concert called "Thank You Origato." It's a tribute event to Nakanishi Toshio, who passed away in February this year after the battle with cancer. In 1979, Nakanishi started performing professionally as the frontman of the Plastics, the seminal act of the Japanese New Wave movement. In that year, Hikashu released the first single as well. Naturally, they soon became close and their friendship lasts even to this day. In 2015, Hikashu invited the Plastics in their annual christmas concert, and the latter did a splendid 90 minutes set, including an encore. Nakanishi has been quite an influencial figure for various fields - music, fashion, and graphic design. He has departed but his legacy lives on. This Roppongi concert is to commemorate such a prominent singer/guitarist/designer and people who admire him gather to play. Surely it's going to be an evening to remember so do not miss it. A part of the profit is going to be given to Nakanishi's family.